When dealing with personal finances, trying to decide on personal loans VS credit cards can be tough. 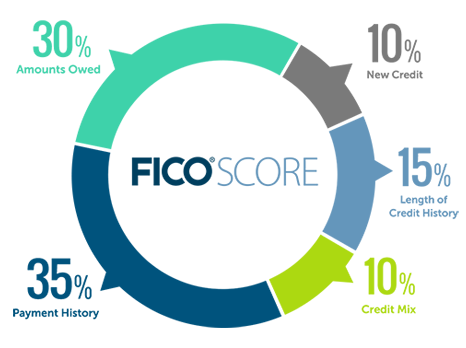 Click here to learn when to pick personal loans! Sometimes, you just need money. And whether it's an unforeseen expense or a carefully planned investment, that money needs to come from somewhere. But you might not have the cash on hand. Especially given that 69% of Americans have less than $1,000 in savings. So you've got a big decision to make. How do you get the money? 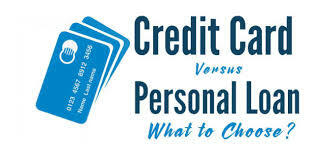 Personal loans vs credit card. Which to choose? Let's take a look. Here's when a personal loan is the right choice for you. You're getting married--congratulations! But with the average cost of a wedding reaching $35,000 in 2016, it's hard to tell if that ringing in your ears is wedding bells...or just a cash register. That's where personal loans shine. They're a great option for big, one-time expenses where cash is key. Life events like weddings, health emergency expenses, and moves are all perfect examples. That's because you get a lump sum upfront and make scheduled payments as you go. Making your large expense more manageable by spreading it over a much longer period of time. If you need a little longer to repay, personal loans are ideal. When it comes to long-term payment options, personal loans will give you more money and a lower interest rate than credit cards will. Plus, you can pay the loan off in anywhere from two to ten years on a set payment schedule. Sure, the schedule isn't as flexible as what credit cards offer, but that can actually be a good thing. Paying minimum balances on credit cards every month is a tempting option. Too tempting. It can actually lead to more debt and accrued interest as you neglect the full balance. On the other hand, the ongoing schedule of loans helps build good payment habits. And payment history ultimately accounts for 35% of your credit score, helping you get better financing down the line. But it's not just your financial future that personal loans can help with. If you've got a lot of debt, especially credit card debt, you probably can't consolidate it all on one credit card. Nor should you want to. Credit card annual percentage rates (APRs) are the yearly interest rates you'll have to pay if you don't pay your debt in full every month. While some cards offer limited periods of 0% APR, the interest tends to balloon after that. As a result, rolling over large amounts of credit card debt every month can bury you in interest pretty quickly. Not to mention, harm your credit score. By contrast, personal loans are a great consolidation option. The interest rates are usually lower, particularly if you have great credit. And if you do have a bad score, personal loans can help your credit recover along the way. Personal loans are a great option for a variety of situations. Whether you fell ill and are still dealing with the fallout of medical bills, or you're planning a sun-drenched honeymoon in Hawaii. Check out our tips for getting the best personal loan interest rates and be sure to compare rates before committing. With all the money you save, you'll be glad you did.